Matt C: I've been down with the Ed Brubaker/Sean Phillips collaborative combo since Sleeper over a decade ago, and have followed the great work they've done together through Criminal, Incognito, right up to the recently completed Fatale. Well okay, I have an admission to make about Fatale. After the first few issues I was finding I couldn't absorb it fully as a monthly and decided to wait until the end of each story arc to catch up. That was the original idea, anyway. Now I'm sat on 24 issues of Fatale and need to go through them from the very beginning. And I will - promise! I kept buying the book religiously each month because there's no doubt in my mind that it'd be worth the wait. And so onto The Fade Out, a crime tale set in the late 1940s. Which is all I need to know really. That era - when film noir was arguably at its peak - fits these guys like a glove. I just hope the plotting isn't too dense for the monthly format because this time around because I want to keep on top of things! That's one book only though, what about the rest? In no particular order: New Avengers #23 (three issues in the space of a month! ), Manifest Destiny #9, Elektra #5, Supreme: Blue Rose #2, Trees #4, Ms. Marvel #7, Magneto #8 and Daredevil #7. Marvel and Image are the new Big Two! For me, at this current point in time, anyway. Stewart R: Yup it seems that the Brubaker/Phillips combo is the one to look out for this Wednesday, and, like Matt, I struggled with Fatale but will give The Fade Out #1 a try seeing as how this is a return to noir crime fiction without the supernatural element that I found so distracting with their most recent Image effort. 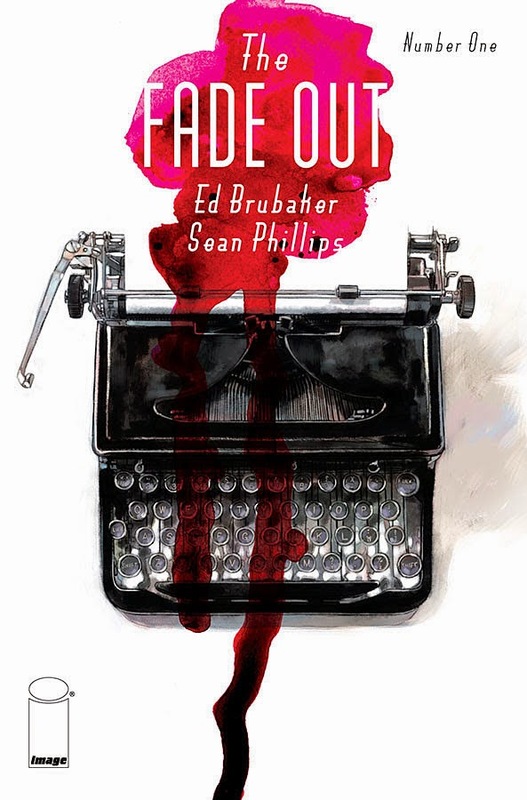 The Fade Out looks to be a a grand tale in terms of cast and plot threads - which could explain the 40 page debut to cover a lot of ground quickly - and we'll just have to see if this can replicate the success of their Criminal work and possibly even surpass it. The rest of my pull-list is similar to Matt's with the likes of Elektra #5, Daredevil #7 and New Avengers #23 making the cut and it's once again time for the two lone DC titles to make my reading pile in the form of Batman And Robin #34 and Green Lantern: New Guardians #34. The only problem is that I can't remember what occurred in the previous instalments of either series - or if I've even read them yet! - so I guess now might be a good time to catch up!